i Click 'view all' to instantly compare this ok deal with offers on other top sheet sets twin extra long. 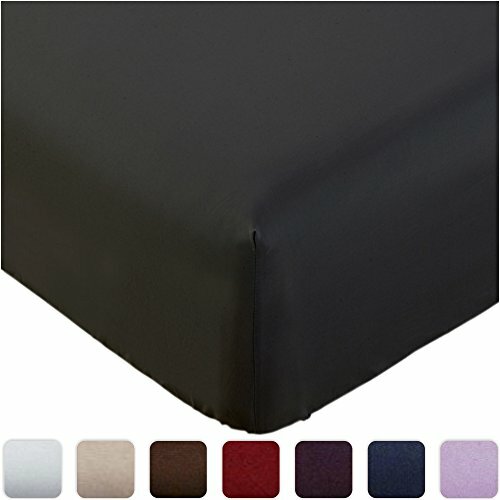 Mellanni Fitted Sheet Microfiber 1800 Wrinkle Resistant Twin XL, Black is currently selling at $14.97, which is its normal price. It has a lowest price of $14.97 and is selling within its usual range. Price volatility is 0.15% (meaning it does not change often), so you might have to wait a while for the price to drop. Until then this is a recommended 'ok deal'. There is a coupon available for an additional $3.00 off. The current deal is also the best price on this item over the last month. 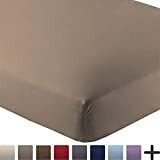 Compare the current price, savings (in dollars & percent) and Buy Ratings for the top Sheet Sets Twin Extra Long that are closely related to Mellanni Fitted Sheet Microfiber 1800 Wrinkle Resistant Twin XL, Black. Here is how Mellanni Fitted Sheet Microfiber 1800 Wrinkle Resistant Twin XL, Black compares with other leading Sheet Sets Twin Extra Long. Here's What A Few Of Our Raving Fans Are Saying"Softest Sheets EVER!" "Best sheets I've ever slept on" "Best customer service on Amazon, Period" "Beats any other product"
Microfiber sheets are breathable, keep moisture, dust mites and other allergens away, hypoallergenic. Comes in Twin, Twin XL, Full, Queen, King and California King.Perfect for adults, kids, toddler, teen girls and boys.